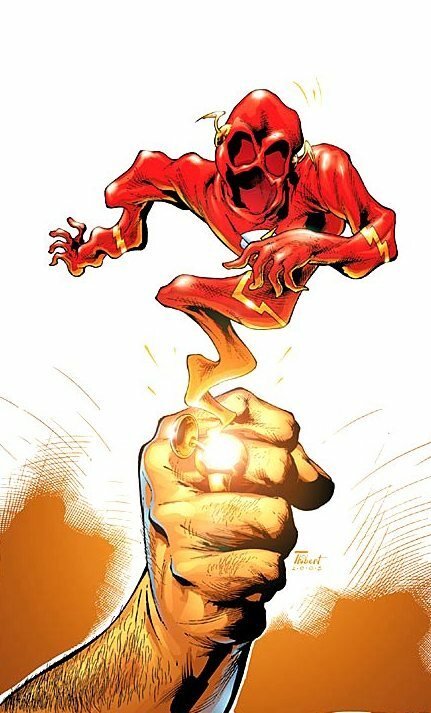 History: Flash's Costume Ring is a small ring with a spring-loaded opening. 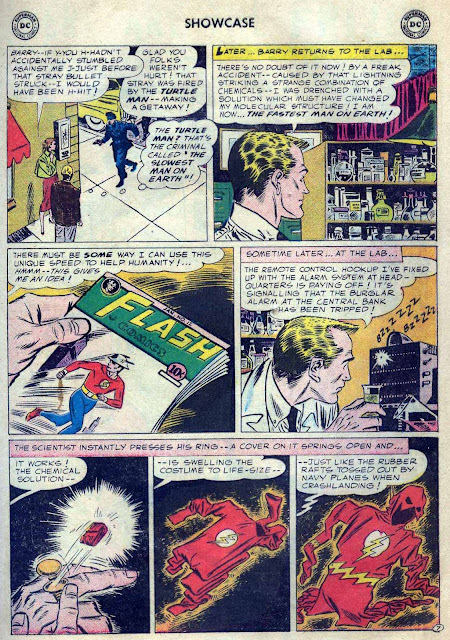 Barry Allen, the second Flash, used this ring to compress and conceal his costume while operating in his civilian identity. 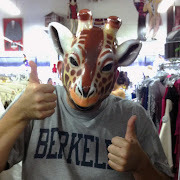 By thumbing a small stud on the side, the top of the ring opened, releasing the costume (chemically treated to shrink), allowing Barry the ability to change clothes at super-speed. 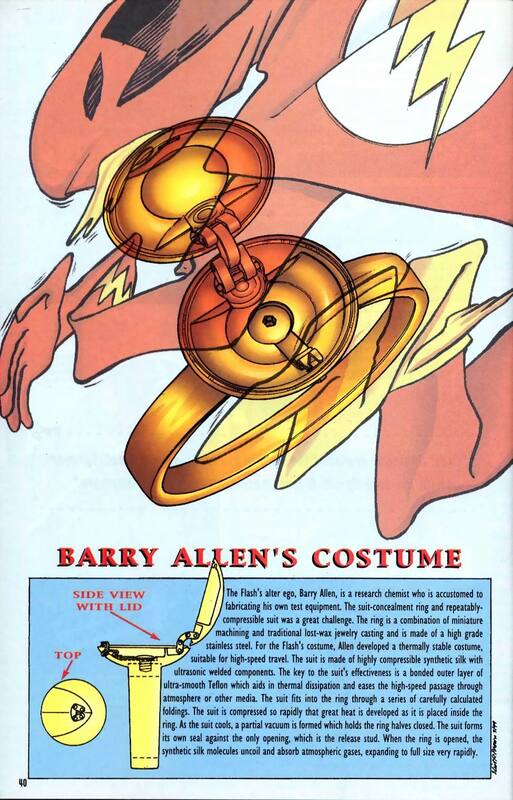 Wally West, the third Flash, also uses one of these rings. Barry's grandson, Bart Allen, used a similar ring to hide his costume while he was the Flash, and another to house his Impulse and Kid Flash costumes (he does not remove this ring under any circumstances, at least not willingly). 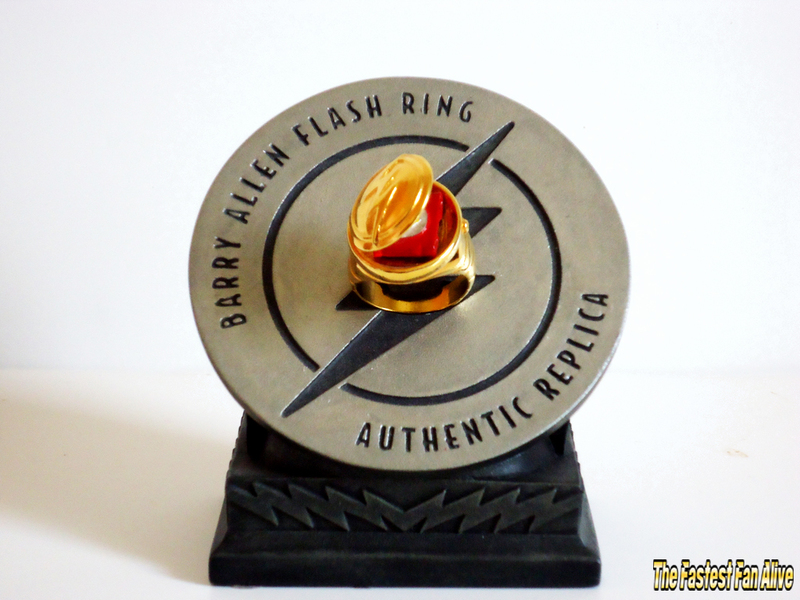 Bart's first costume ring, that in which he stored his Impulse costume, was a gift from Wally West, and a replica of Barry's original. 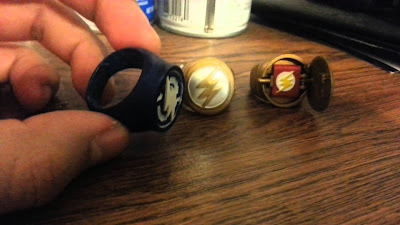 Other Non-Flash Rings: Barry Allen gave Flash Costume Rings to other members of the Justice League, containing their own costumes, as seen when Green Arrow has Arsenal steal the one Green Arrow had gotten from Barry, which had been in the Flash Muesum's collection "Friends of the Flash". 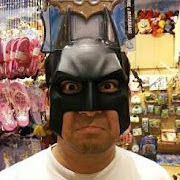 His costume is stored inside of it and it says "To Ollie, Run fast. - Barry". Ollie makes it into his engagement ring for Dinah. 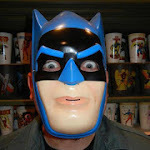 The other members of the Justice League didn't use them because they weren't fast enough to get into their costumes. Fun Fact: Green Arrow used the ring given to him by Barry Allen as a gift when he proposed to his longtime girlfriend Black Canary. Fun Fact: The Flash has shown the ability to vibrate and compress his molecules to actually hide himself inside of the ring when the situation calls for it.